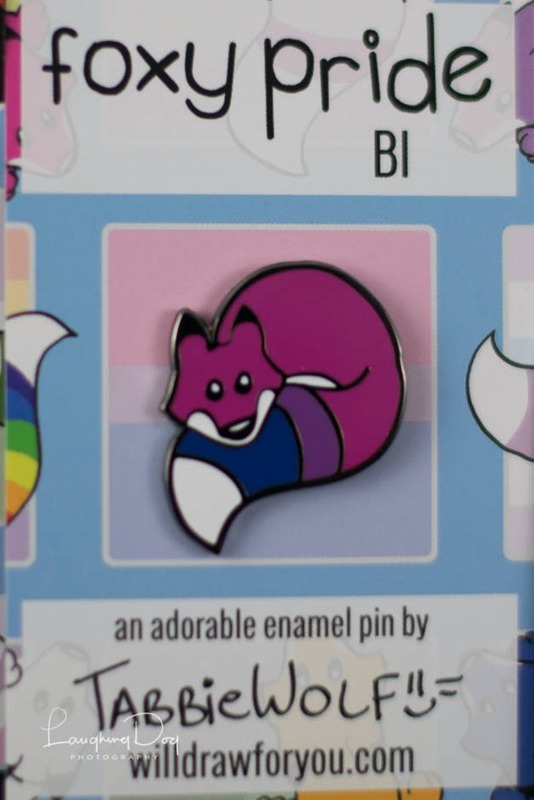 A cute little fox with a tail showing off the bi pride colors: magenta, purple, and dark blue! Show off your pride super cutely! 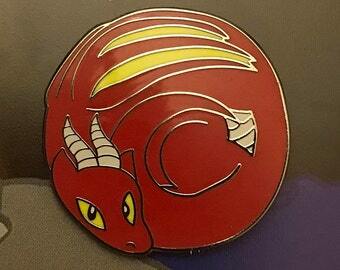 This pin is about the size of an American quarter and made with hard enamel. The outline is gun metal black, making it appear silver when reflected in the sun. 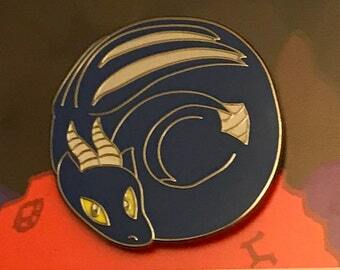 The pin features one post with rubber backing. Only got here a day later than expected, which may have just been my local postal service, and the pin is very well made and looks like it will hold up for a long time. This was actually a present for a friend of mine, and he seemed to really like it, he even immediately put it on his work hat so he wouldn't lose it. I'm seriously considering buying more for myself and a few other friends.